Here is the cover of One Summer in Malta, a large print book that began life as a serial. It will be published by Ulverscroft on 15th November. And Starting Over has just come out in audio and will follow in large print on 1 November. Both audio and large print rights have been sold for All That Mullarkey, too, and will make their bow according to the publishers’ schedules. All these things are what an agent or publisher might refer to as ‘subsidiary rights’. Books can come out in many forms: hardback, paperback, trade paperback, audio, large print, all the various ebook formats etc. And that’s before you get to the foreign rights: the US version, the Australian, the South African, and then different languages, too. Subsidiary rights can really earn you money, because you don’t normally have to do much more work to get a whole new fee! So let’s hear it for subsidiary rights sales! Yeahhhh! And that’s why writers get excited when their publisher or agent goes to a book fair (Frankfurt is next, in October). Because rights get sold. All That Mullarkey – TV Star! All That Mullarkey might be on TV tonight! 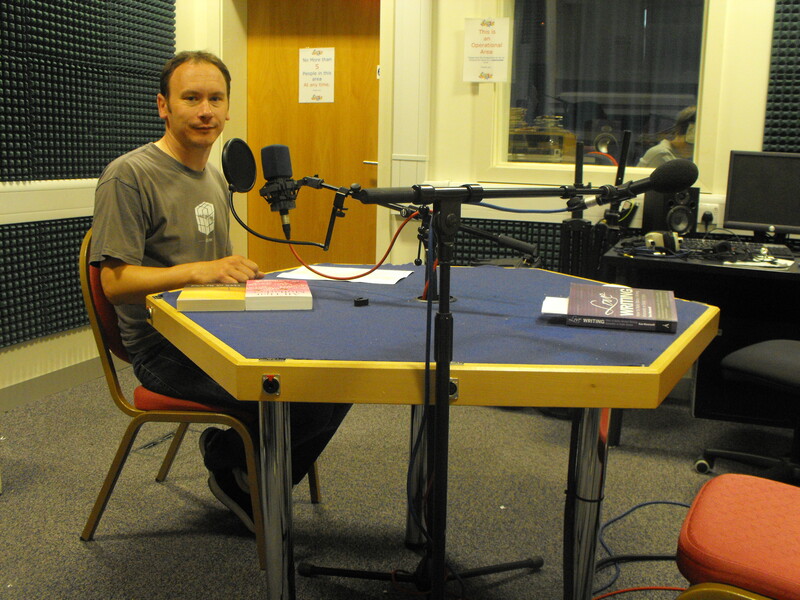 Am on The Reading Room from SirenFM 10.00-12.00 BST on Sunday 5 September 2010, first of three programmes. Just click to listen free to a couple of hours of output about books. SirenFM is a community radio station – brilliant that they can devote this kind of time to a programme about what I’m passionate about: reading and writing. They have a great set up in studios at the University of Lincoln and both Paul and producer Johnny made me welcome. The interview I did took about 2.5 hours but Paul has edited it down to three programmes (thereby cutting out a lot of ‘Sorry Johnny, forgot what I was going to say …’) or being caught eating grapes instead of being ready to answer questions. I really like doing radio stuff.